"He is a rider that gives 100%. This is probably his mental strength which makes him the rider he is today. And physically he should improve again for next season." 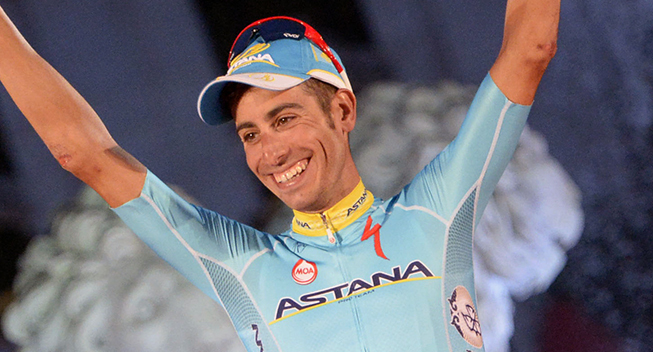 Fabio Aru has established himself as one of the best grand tour riders and was the only rider to finish on the podium at two three-week races in 2015. After his second place behind Alberto Contador at the Giro, he took his first grand tour victory at the Vuelta a Espana. In 2016, Aru has set his sights on the Tour de France where he will make his debut. His sports director Giuseppe Martinelli has big expectations for his protégé. "Aru could participate once just to learn, but that's not in his character," the Italian sports director told La Gazzetta dello Sport. "He is a rider that gives 100%. This is probably his mental strength which makes him the rider he is today. And physically he should improve again for next season." Martinelli even compares Fabio Aru with the late Marco Pantani whom he knew well as he acted as sports director for the Tour de France winner. However, there is still room for improvement.